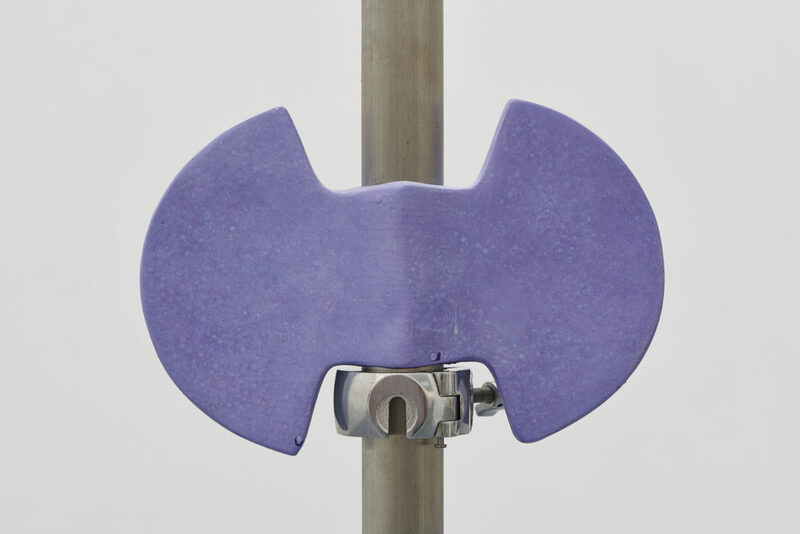 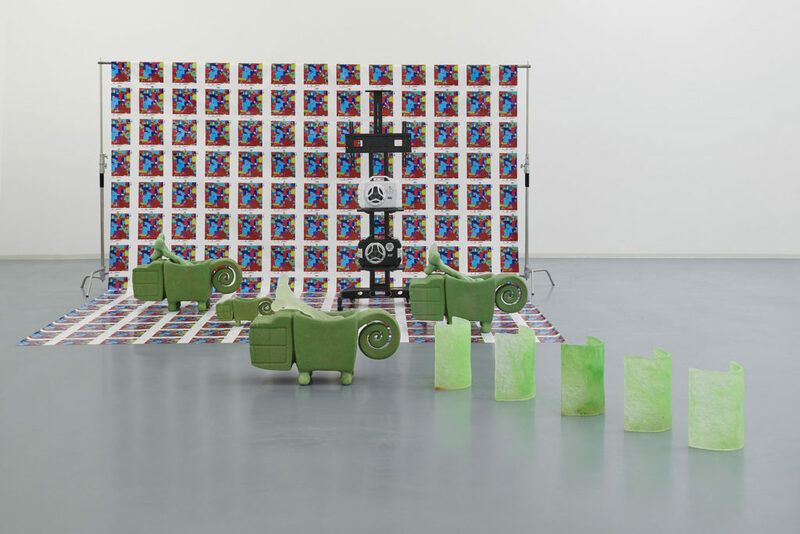 Bonner Kunstverein announces a new exhibition by Guan Xiao. 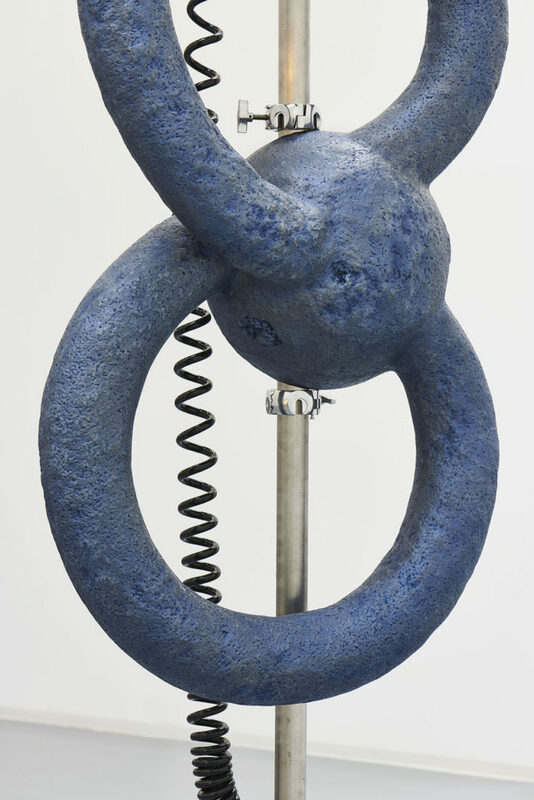 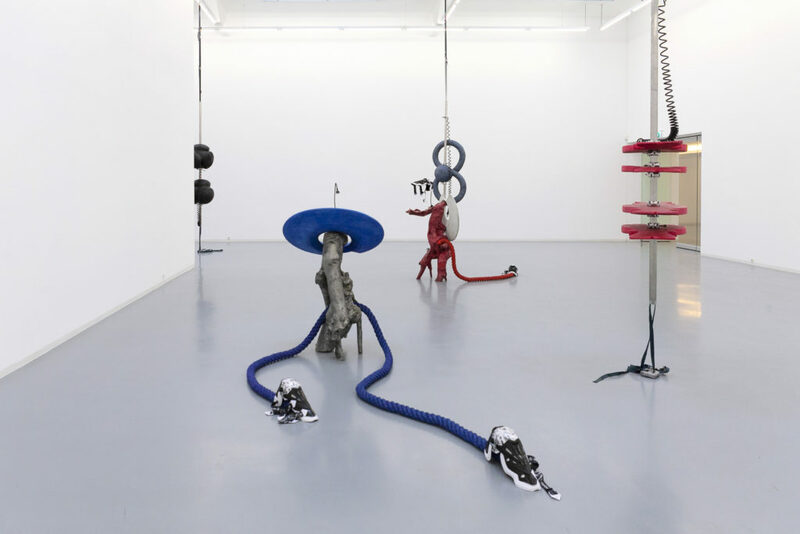 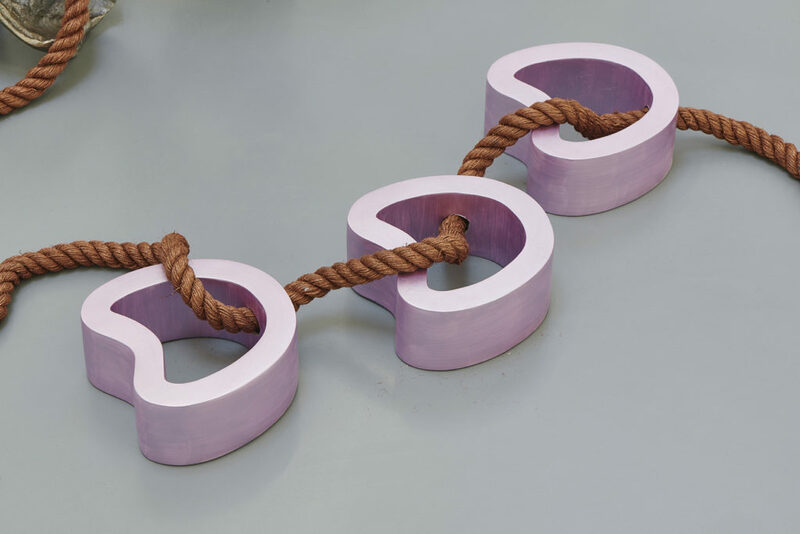 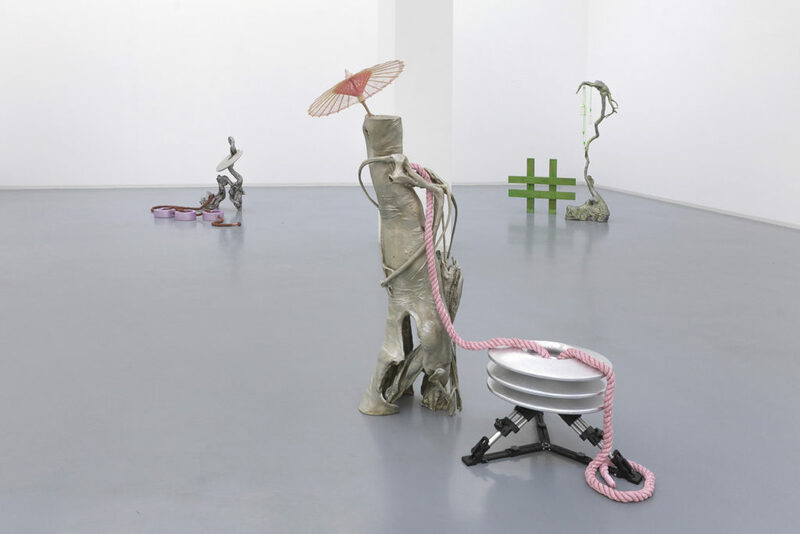 Working primarily in sculpture and video, Guan Xiao quotes from a broad range of cultural history that includes references to ancient Eastern and Western traditions as well as contemporary popular culture. 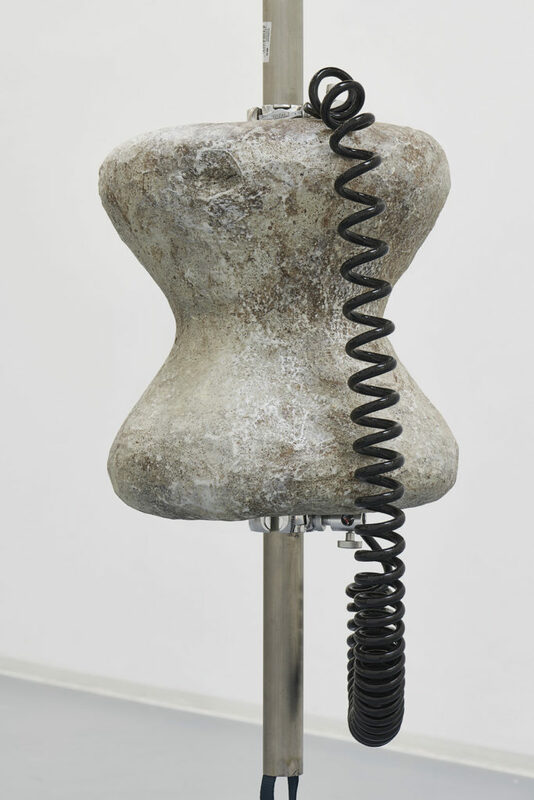 Previous works have variously adopted The Statue of Liberty, Michelangelo’s ‘David’(c.1501) or the large stone statues or ‘moai’ on Easter Island as subjects. 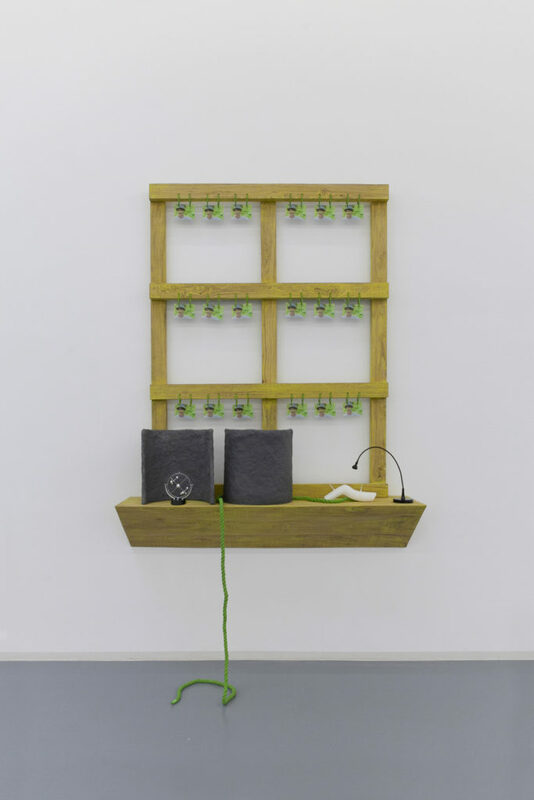 Products Farming will present new sculpture and video that collectively consider the state of contemporary production in relation to the natural world. 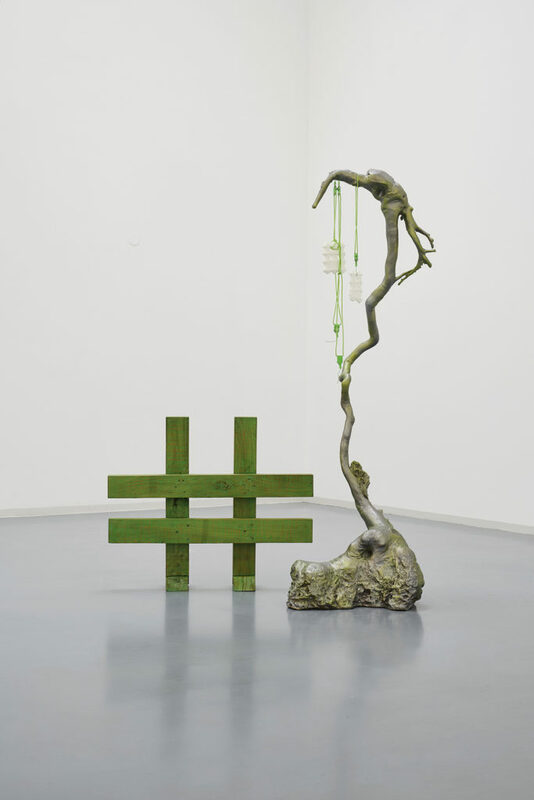 A series of 6 Root Sculptures refer to the ancient Chinese tradition of carving tree roots. 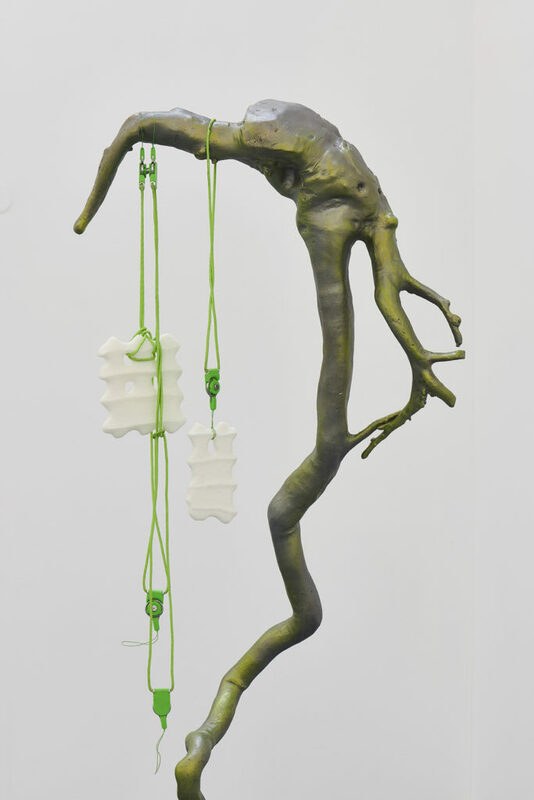 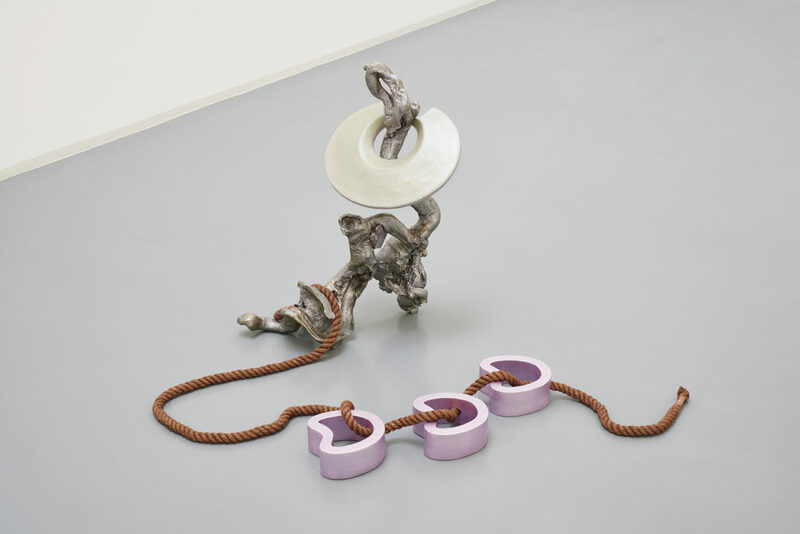 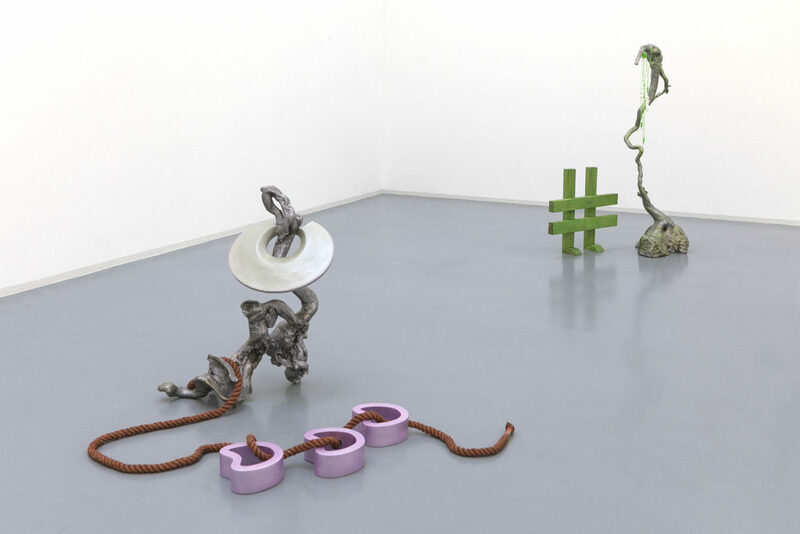 Guan Xiao has described the twisted and gnarled roots as representing the ‘perfect object’, being both natural, shaped by their chemical composition and environmental conditions and a readymade. 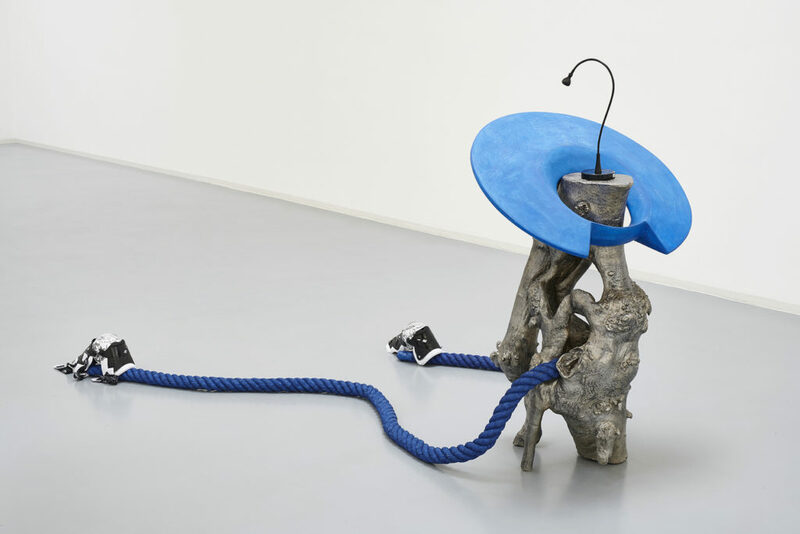 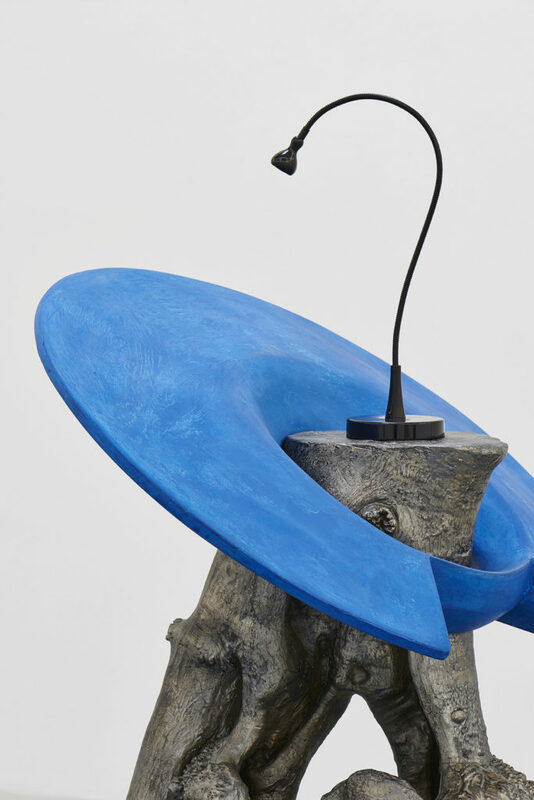 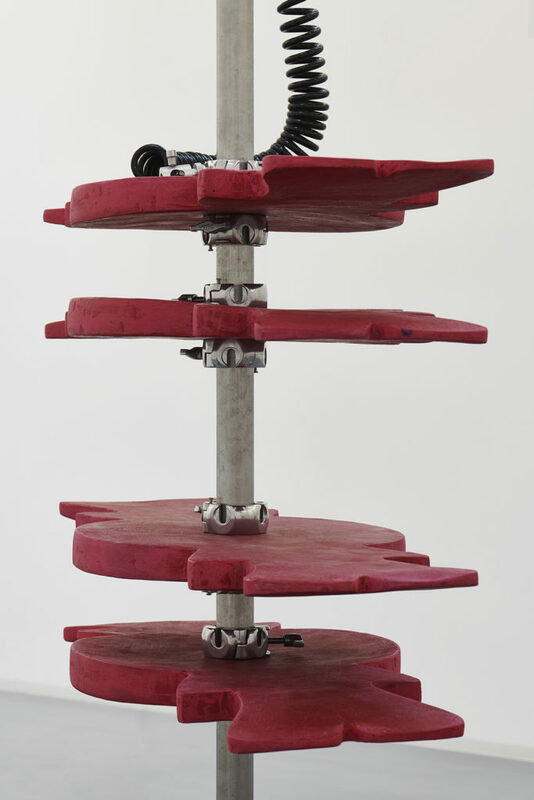 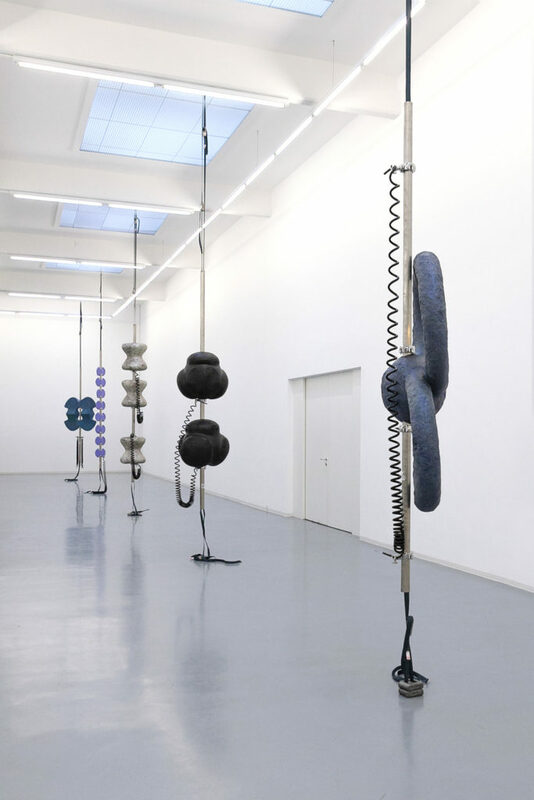 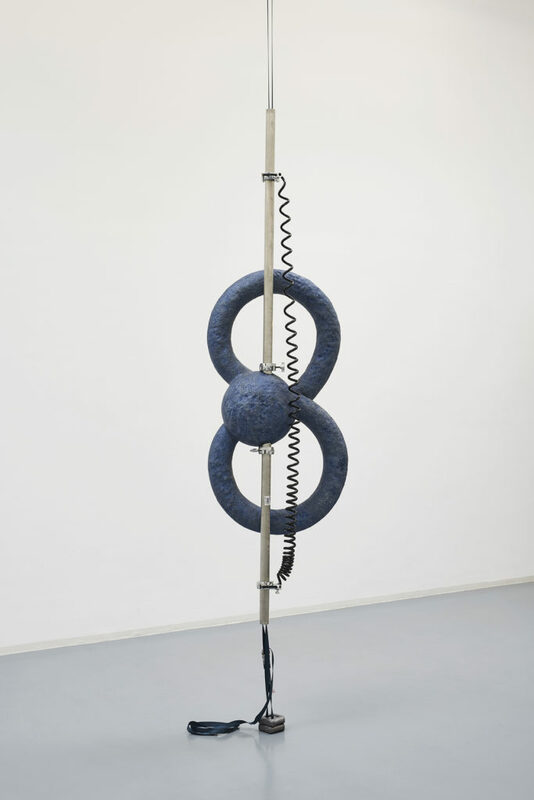 These anthropomorphous works employ such root forms to support other sculptural components including parasols, camera tripods, microphones, running shoes, electrical cable and coloured rope. 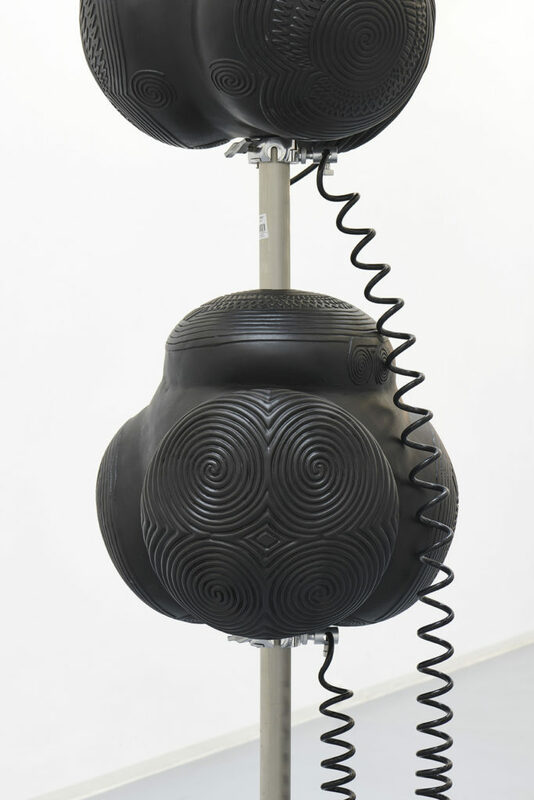 In another group of works, entitled Things I Couldn’t Forget, objects that appear to be physical renderings of computer icons are threaded and bolted on top of one another to create totemic columns. 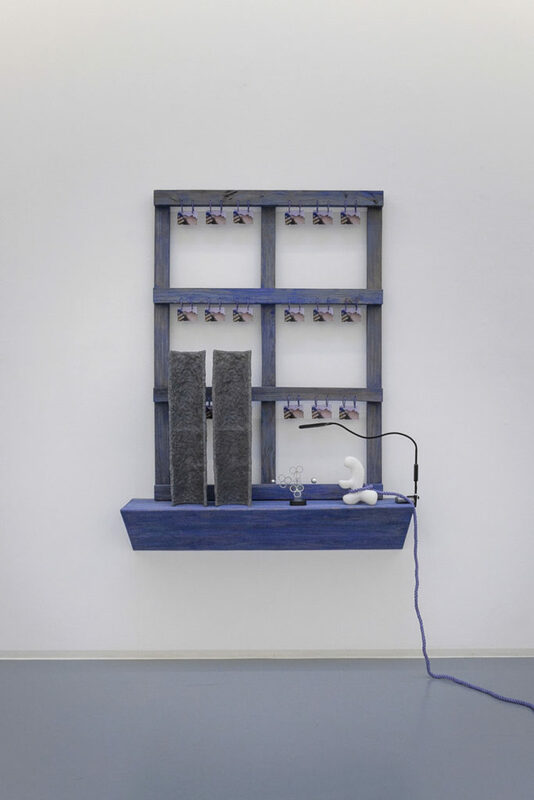 A third body adopts the form of windows cluttered with photographs, executive toys and other objects. 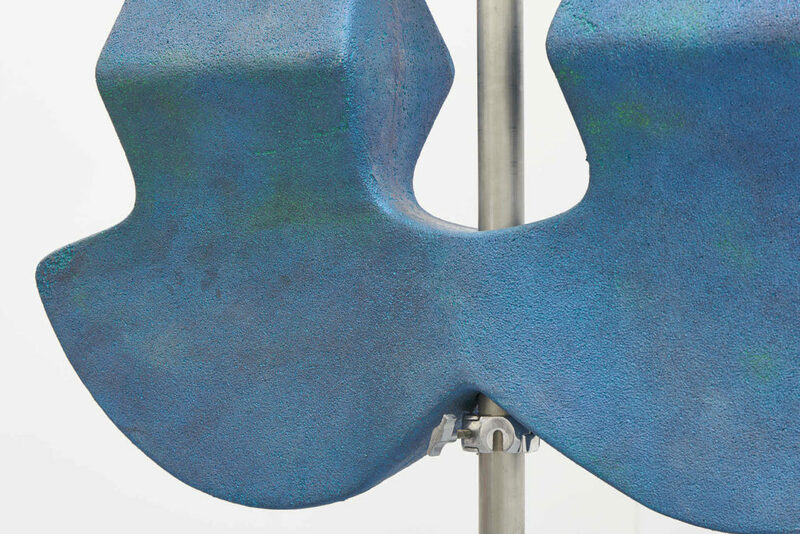 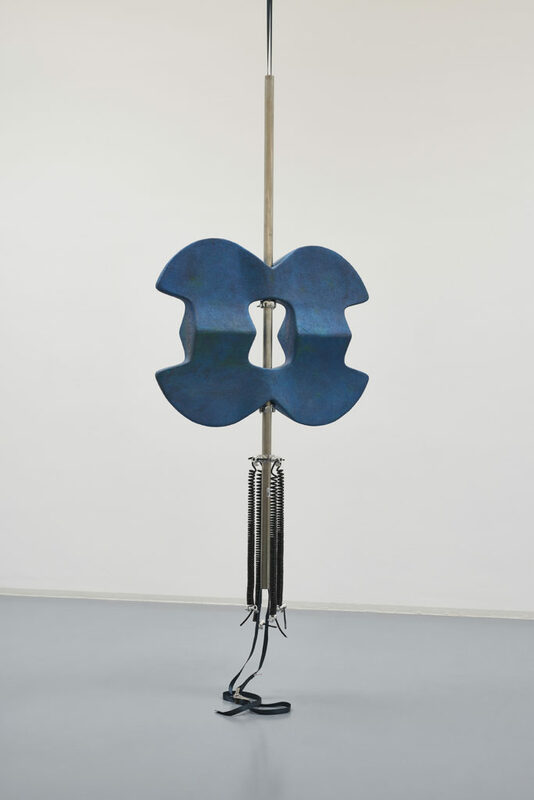 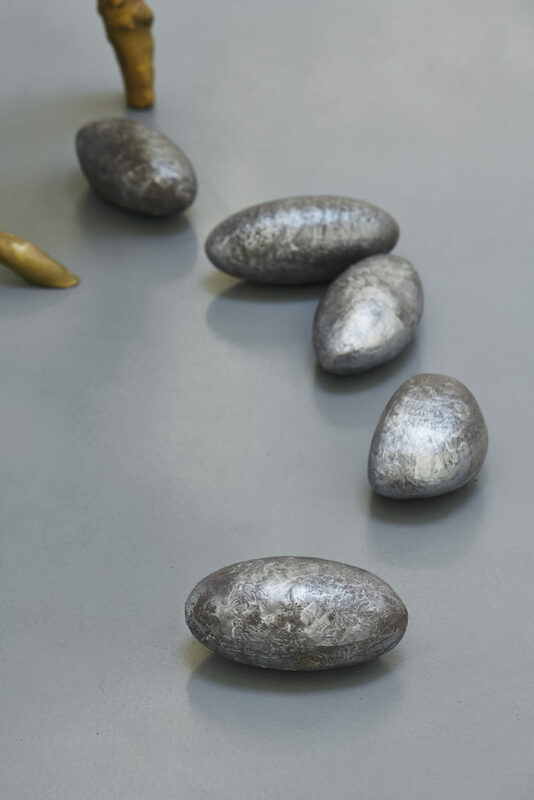 She has described her sculpture as ‘collage’ in which she tries ‘to connect two very different structures or materials’ in a way that ‘can break the fixed context of an object’. 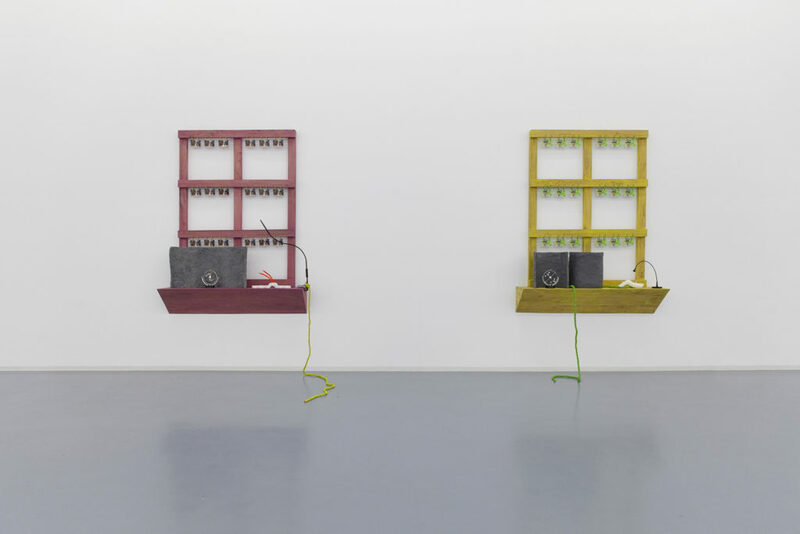 The sculptural works will be exhibited together alongside a three-channel video work composed as a meditation on nostalgia and homesickness. 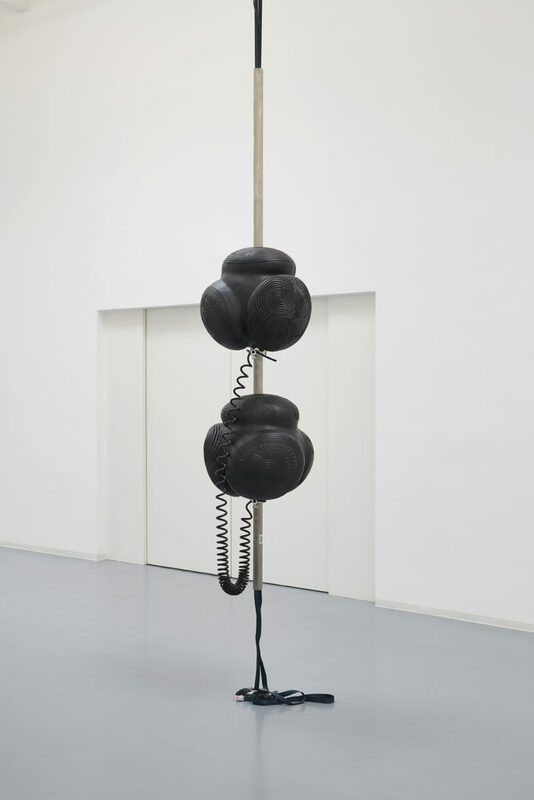 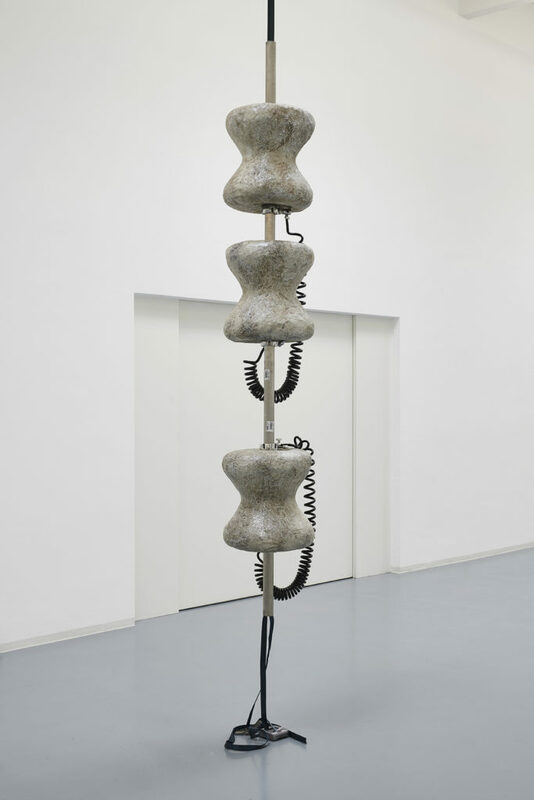 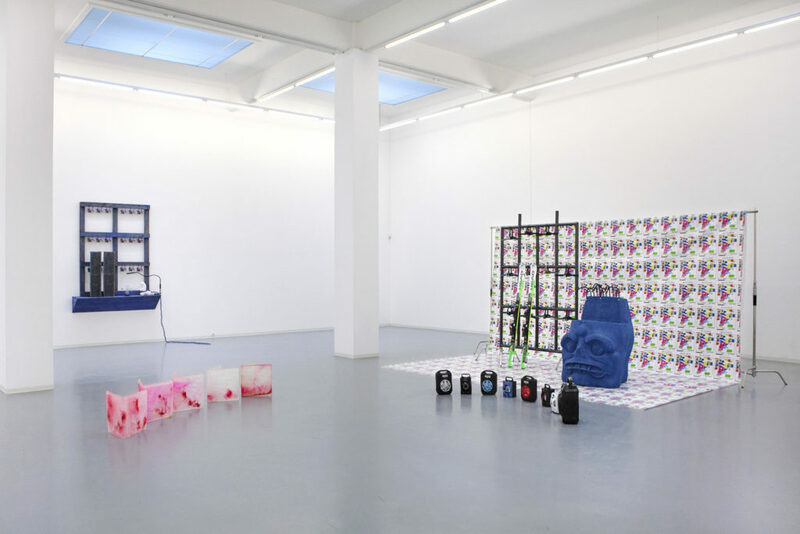 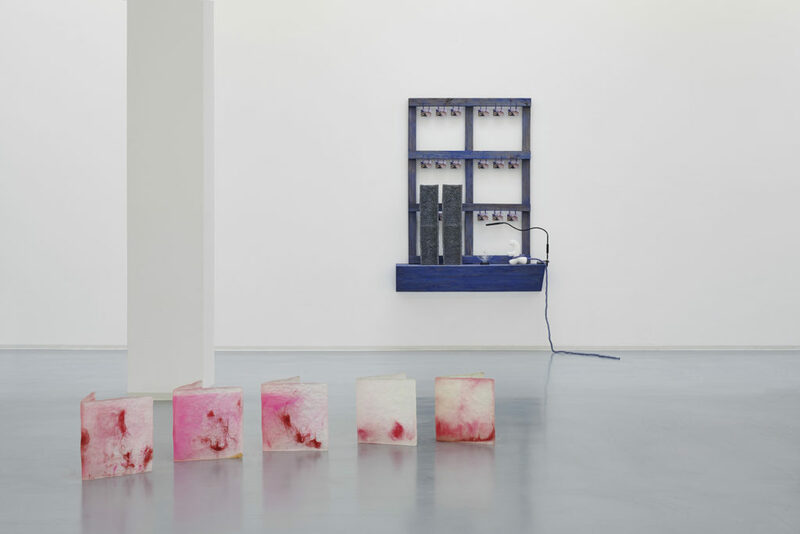 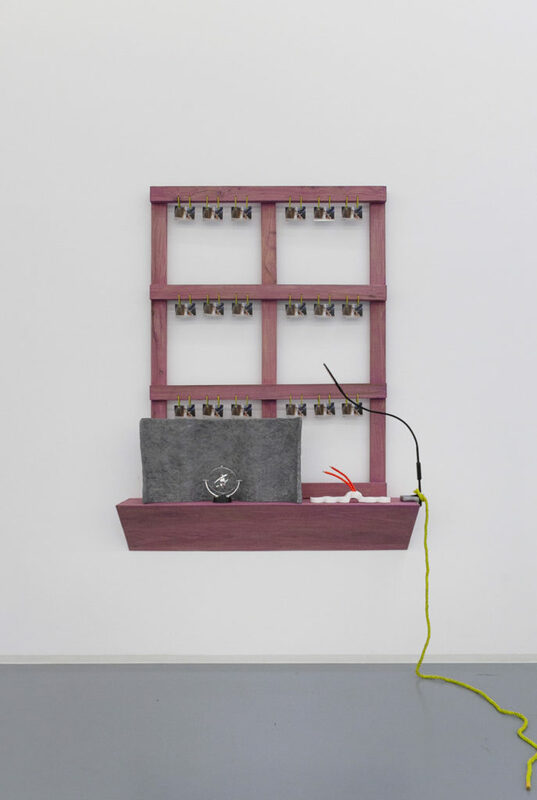 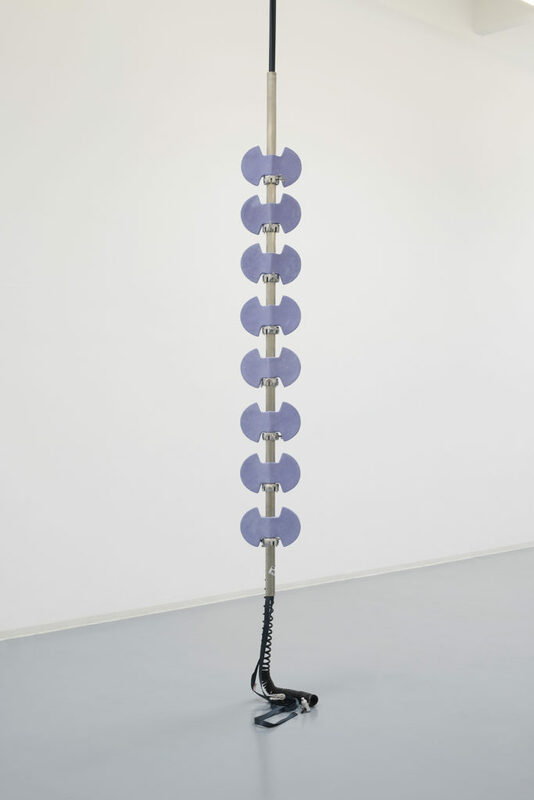 The exhibition is Guan Xiao’s first institutional solo exhibition in Germany. 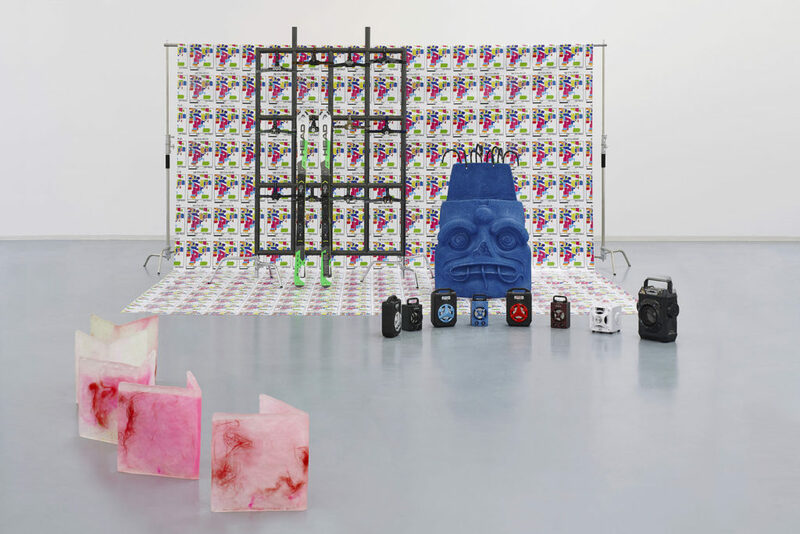 It is funded by Kunststiftung NRW with additional support from Kraupa-Tuskany Zeidler, Berlin and Antenna Space, Shanghai. 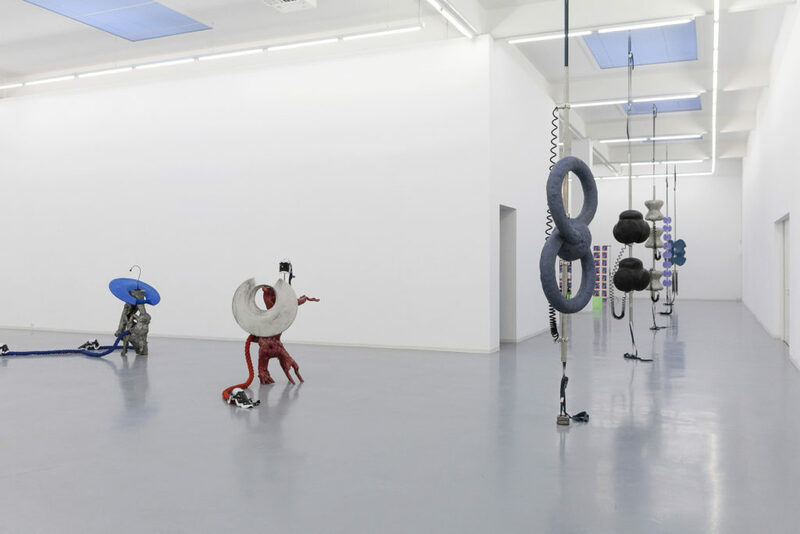 The exhibition opening is sponsored by Reverchon. 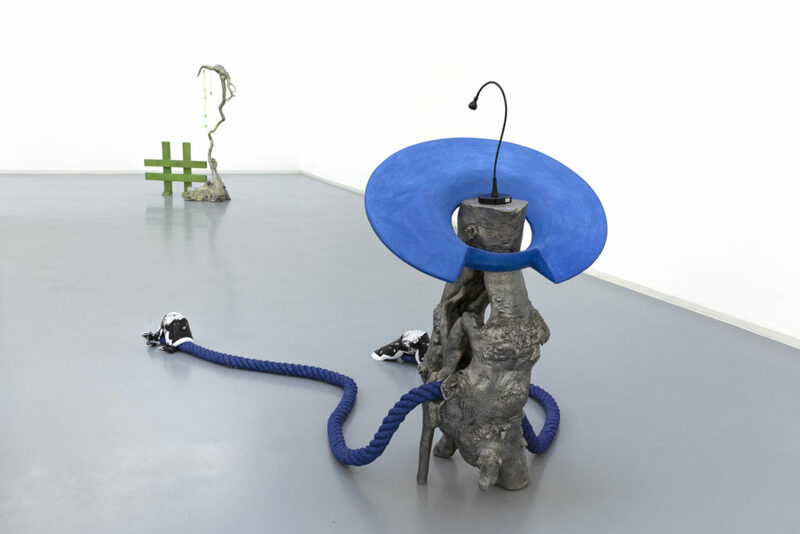 Guan Xiao (b. 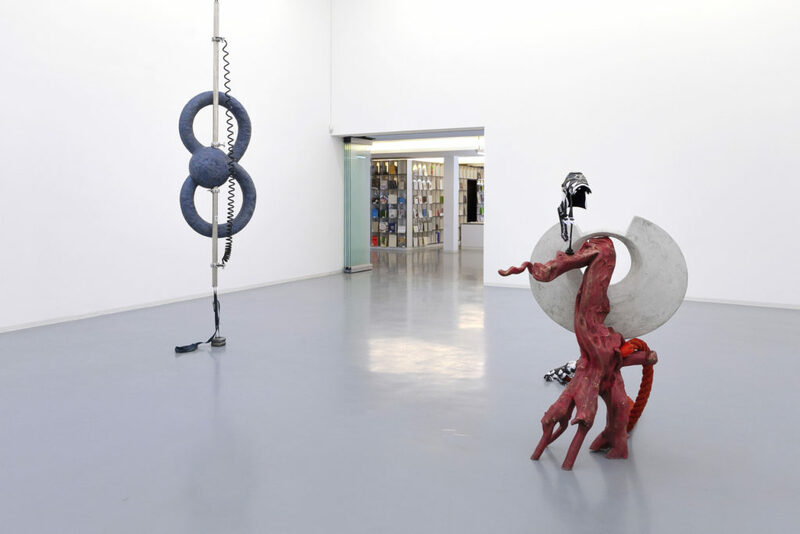 1983, Chongqing) studied film at the Communication University of China in Beijing. 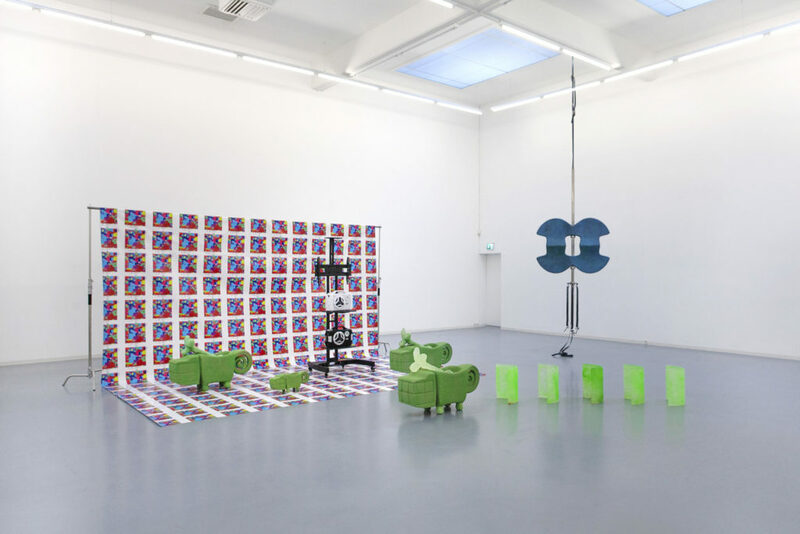 She has since held exhibitions at Kunsthalle Winterthur (2018); K11 Art Space, Shanghai; ICA, London; CAPC, Bordeaux and Jeu de Paume, Paris (all 2016). 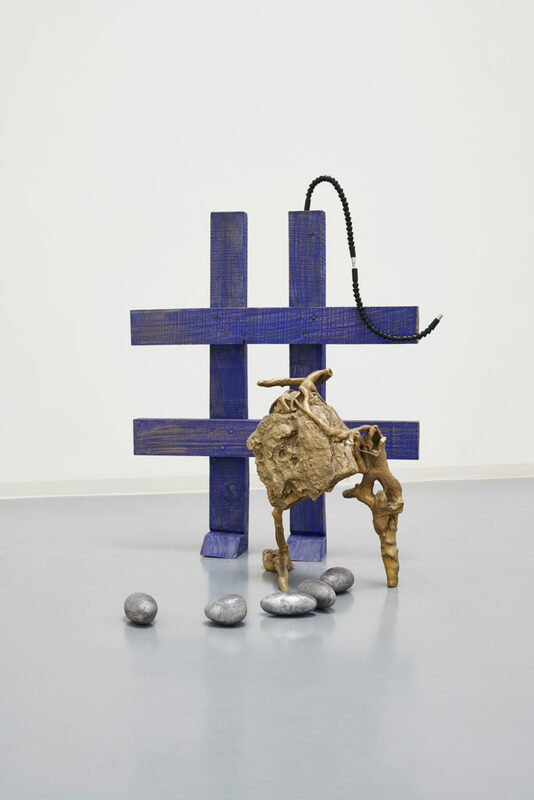 Her work has also been presented within significant group surveys including the 57th Venice Biennale (2017); the 9th Berlin Biennale (2016); 13th Biennale de Lyon (2015) and the New Museum Triennial, New York (2015). 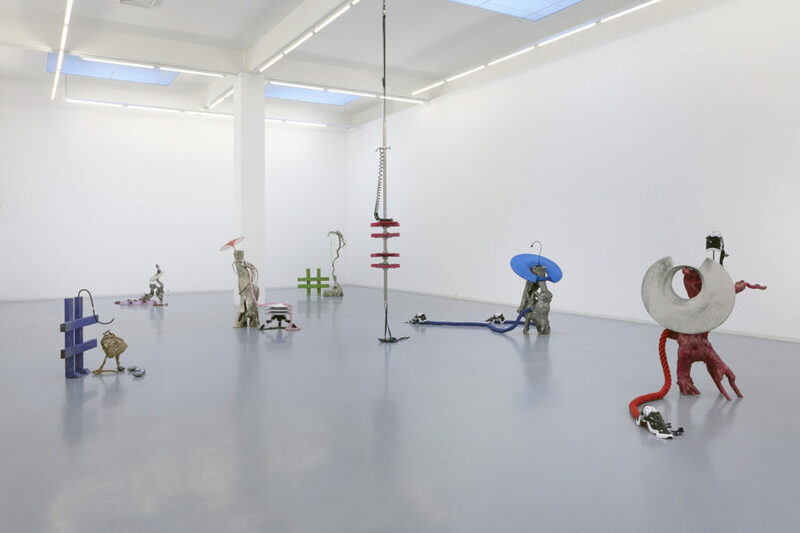 © Guan Xiao, Bonner Kunstverein, Bonn GERMANY E.U. 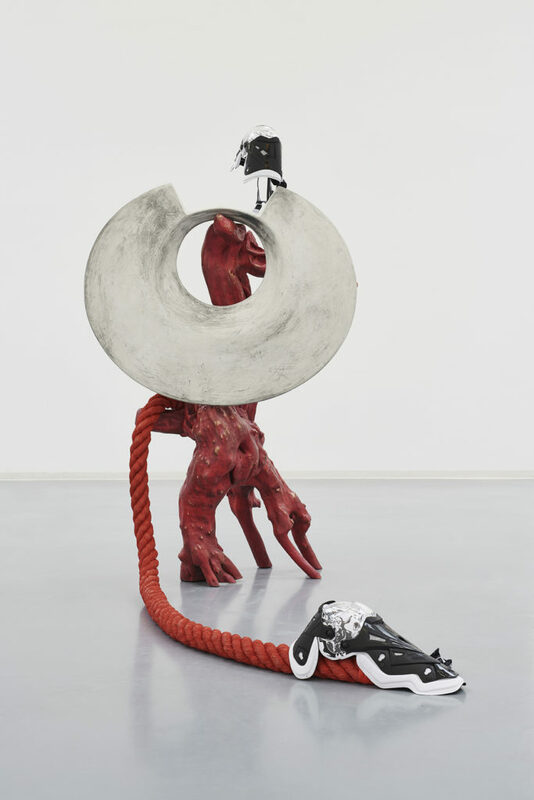 Kraupa-Tuskany Zeidler, Berlin GERMANY E.U. 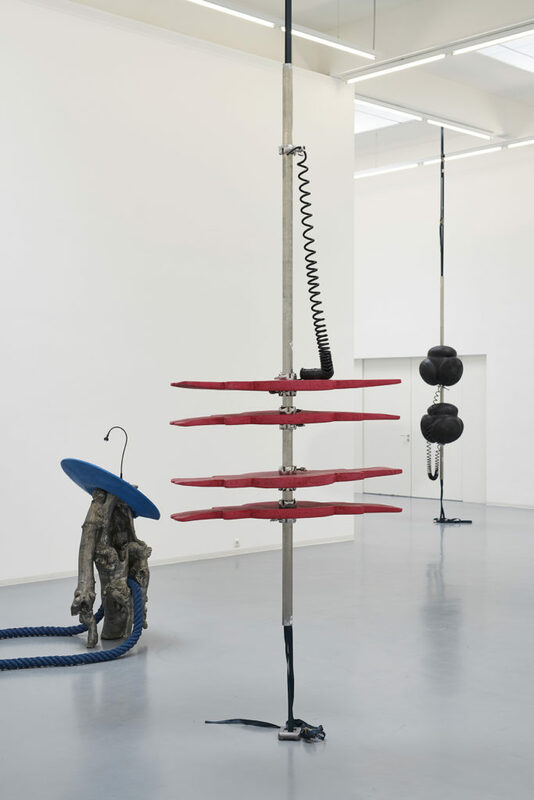 and Antenna Space, Shanghai CHINA.